Birds are capable of astonishing acts of endurance when flying. The Hudsonian Godwit migrates from Alaska and northern Canada all the way to southern South America. 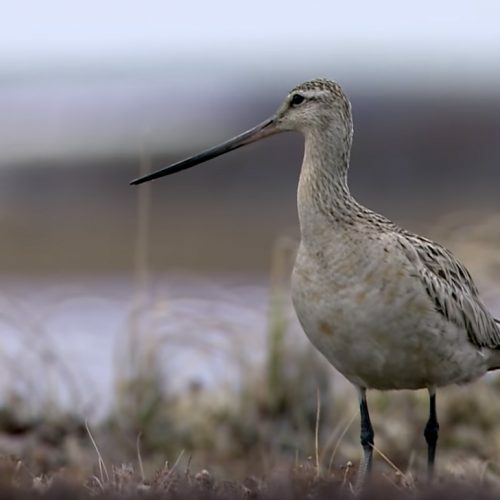 A close relative of this species, the Bar-tailed Godwit, has been documented completing an even longer journey from Alaska to New Zealand, a staggering 7,000 miles, without stopping. This video accompanies Chapter 12, Avian Migration and Dispersal, Handbook of Bird Biology, 3rd Edition from the Cornell Lab of Ornithology and Wiley Publishing.